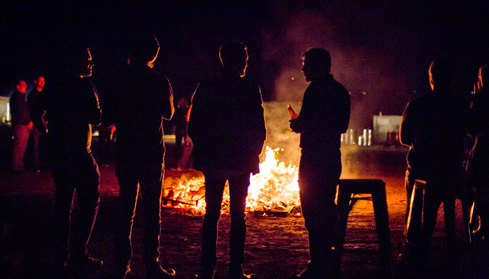 Feral is one of Perth’s most iconic and best known breweries. Self-described as “Mad punk bush poets of the brew who scribble outside of the margins and stagger dangerously close to impending darkness,” Feral was founded in 2002 and opened in the Swan Valley as a local brewery that is resuscitating traditional beer brewing techniques with a little more unconventional attitudes. Hop Hog was created 10 years ago out of a relationship Feral had with U.S brewers over in California, who highlighted all the unique varieties of hop found in America which had never been used in Australia. This was the basis of the recipe- bringing a beer to Australia that was full of hops, aromatic and more flavoursome than the brews that were available down under. 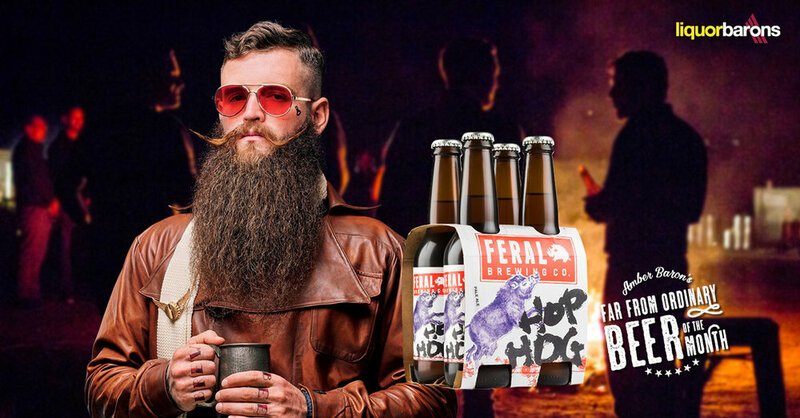 WA’s Feral Brewing Co. crafted an iconic American style Pale Ale with a fierce dose of American hops added during the boil and late in the fermentation stage in an attempt to house-train the wild citrusy-pine flavours and solid malt backbone of this wild boar. But as you should expect by now, Feral beers simply cannot be tamed… You’ll get a pungent whiff off the farm-load of added hops that go into this beast when it comes to mark its territory. 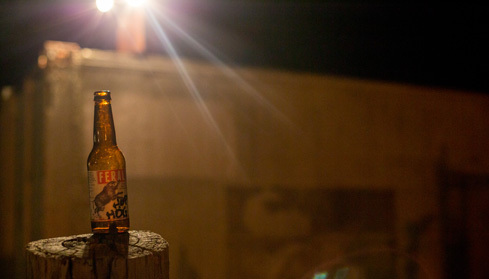 Hop Hog is possibly the most awarded beer in Australia and has topped the GABS hottest 100 list three times (2012, 2012, 2014). Feral's head brewer recently won Brewer of the Year 2017 announced by Beer and Brewer magazine after training under the brewery's former owner for 10 years and developing his skills alongside the rise of Hop Hog. CAUTION: Take care when handling this wild animal. Although it may appear sweet, it’s been known to pack an aggressive bitterness and razor sharp dry finish!